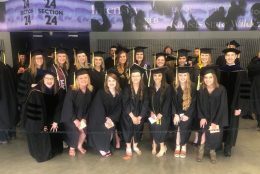 Commencement 2018 for agricultural education and agricultural communications and journalism undergraduate students took place at 2:30 p.m. Saturday, May 12, in Bramlage Coli seum. Don Boggs, associate dean of academic programs, gave the introduction and recognition of faculty awards, while Shannon Washburn, assistant dean of academic programs, recognized graduates in the College of Agriculture with honors. 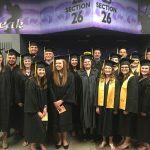 The commencement address was given by Kansas State University President, Richard B. Meyers, and the student address to the graduates was given by Jeff Hadachek, an agricultural economics graduate. 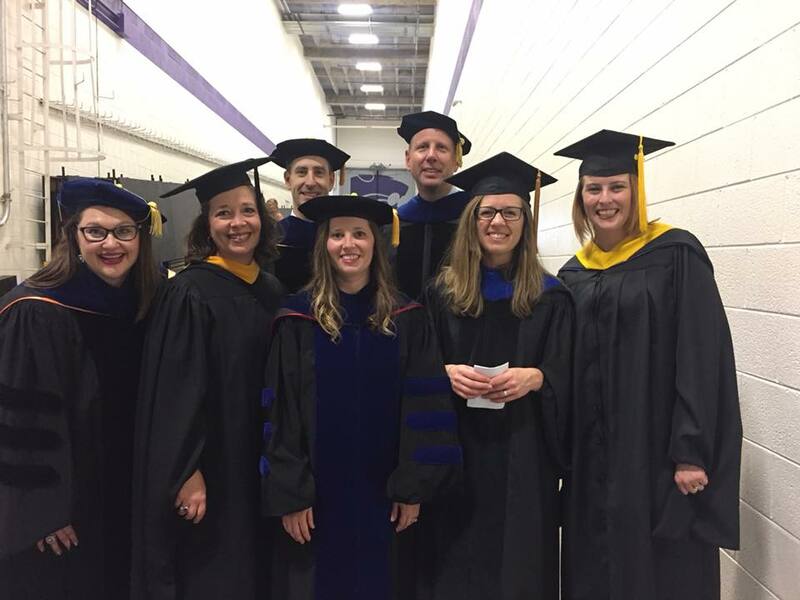 Department Head Jason Ellis ’98 presented degrees to our department graduates. 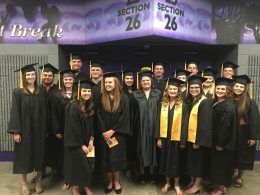 Agricultural education graduates include: Michael Adame, Matthew Anguiano, Ellen Blackwell, Paxton Boore, Mallory Burton, Cassie Campbell, Zachariah Cooper, Dane Cummings, Chelsey Figge, Wyatt Maurer, Michaela McKenzie, Ty Nienke, Josephine Reilly, Elizabeth Rogers, Baylee Siemens, Alexandra Walters, Caitlyn Wedel and James Weller. 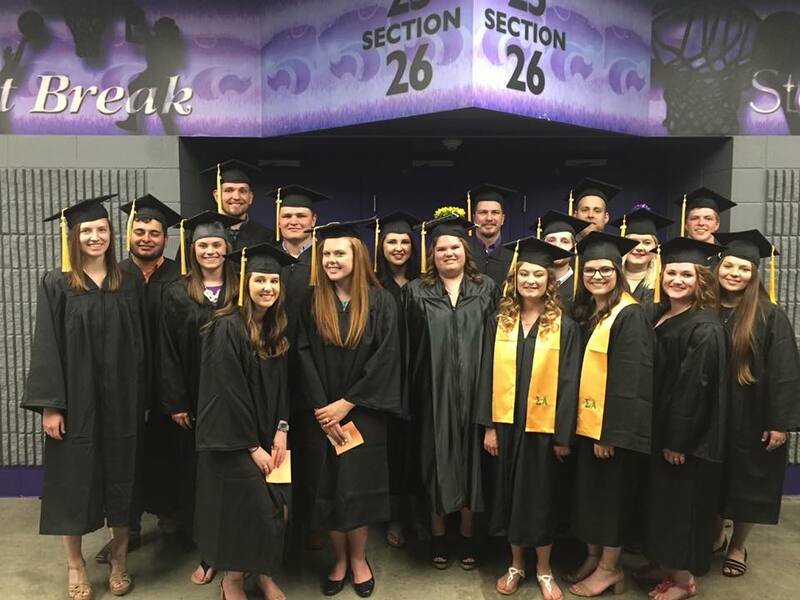 Agricultural communications and journalism graduated include: Samantha Albers, Shaylee Arpin, Shannon Barry, Kelsie Beaudoin, Chelsie Calliham, Elizabeth Cooper, Ashley Fitzsimmons, Jacqueline Newland, Lauren Peterson, Karli Pryor, Hannah Schlapp, Jill Seiler and Chantelle Simon. From our graduate program, Randi J. Ernest received a master’s of science in agricultural education and communication at 1 p.m. Friday, May 11, in Bramlage Coliseum.